Dance with your friends in Sherri Hill 52179. This darling satin party dress has a plunge illusion, V-neckline, plunge illusion sides, and tank straps, that lead to a V-shaped open back, with zipper closure. The short, A-line satin skirt has side pockets. 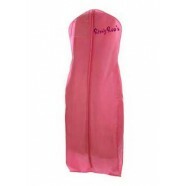 Make awesome memories in this dress at a homecoming dance, Sweet 16, or wedding.